Heat oil in kadai, add chopped garlic, green chilly and sauté till garlic brown. Add hing, turmeric powder and fresh methi leaves, mix well. Add red chilly powder, salt, mix well. Cover kadai with lid and cook for 4 to 5 minutes or methi done. Take garlic papad, cut into small pieces. 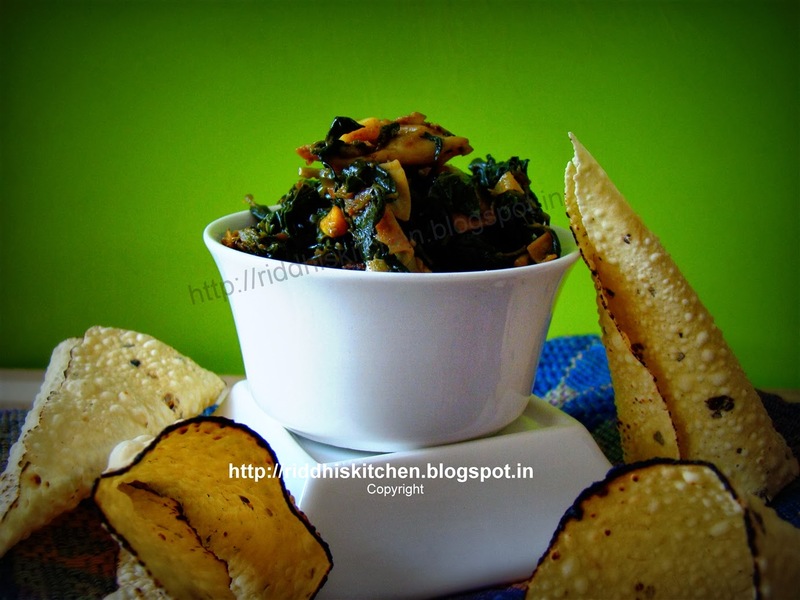 Add papad into methi mixture. Add amchur powder and mix well. Again cover lid with 1 minute or till papad become soft.